The tattoos featured in this article utilize limited color palettes, varied techniques, varied images, and a multitude of quotes to create beautiful and thought-provoking pieces. A skillful artist can turn any concept into a masterpiece, however, an outstanding concept makes that effort much easier on the artist. In this article you’ll see an array of subjects for this daring art-style that will stimulate your ideas for your next project. 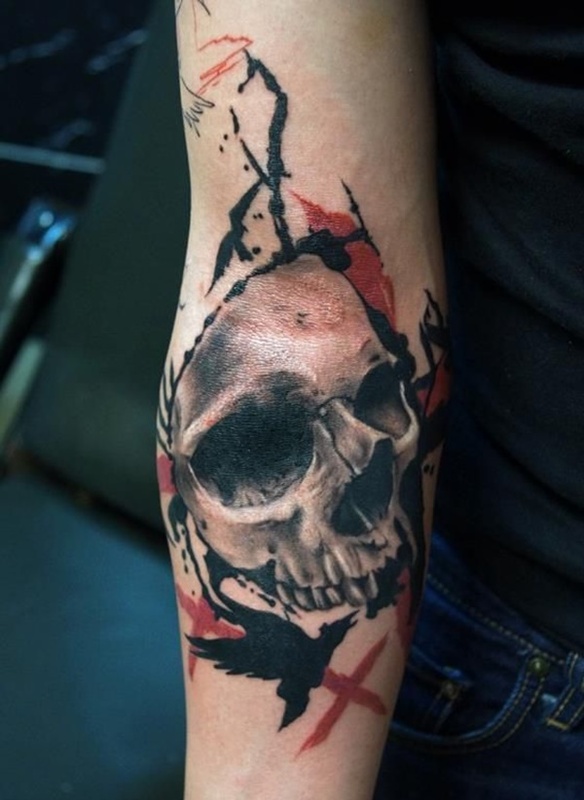 A skull is pictured inside of a vignette created by black and red watercolors in this tattoo rendered on the wearer’s upper arm.